I hope you all had a spook-tacular weekend! We sure did! As you read this we are on our way home from a great weekend of visiting with B's family, and celebrating his Dad's birthday. We were so thrilled to bring Halle back to where B grew up and went to school, and meet so many family members and friends. 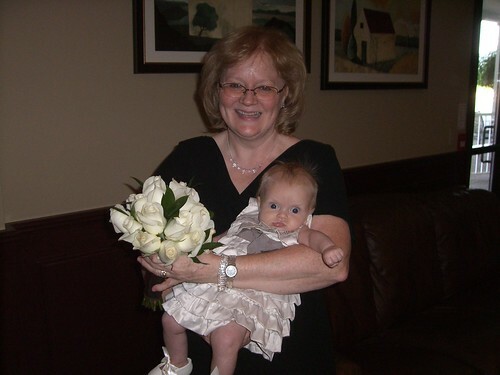 It was also my parents first trip to the Boston area, and overall we are all so thrilled with how the weekend went. Now we're headed home, ready to put Halle into her costume once again, and hand out some candy to whatever little kiddos knock on our door! I hope to be around more this week with some details of our road trip, some updates on our living room refresh, and more decisions that we have made for the bathroom. 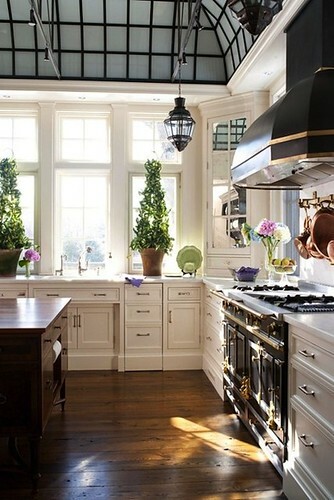 A gorgeous kitchen, from Design Darling. I love when ceilings are done in a way that instantly draw your eye upwards - stunning! These built-in's, on Emily's blog, are exactly how I picture us finishing out living room when we get to do our big renovation in the future. 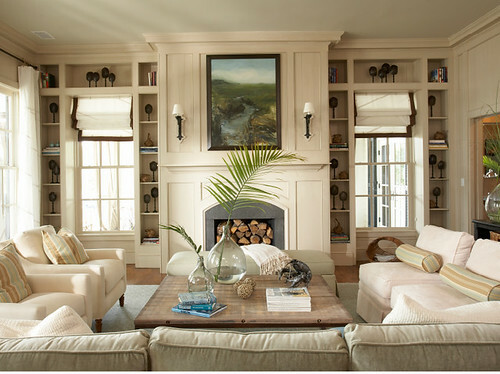 But now I'm also thinking that I love this idea of using an accent colour on a fireplace. Isn't this gorgeous? We have a busy, busy weekend ahead! Halle's very first Halloween weekend and I am so excited about it! We have a lot to accomplish... but no details for me to share yet! I'll be back next week with more! 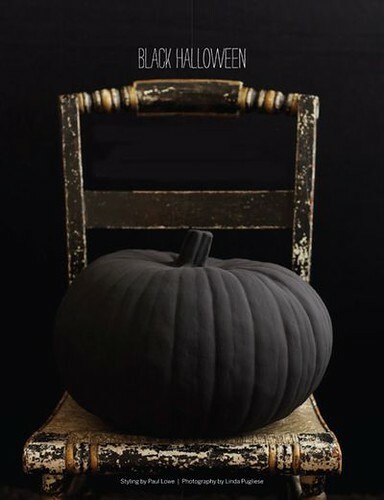 What do you have planned for this Halloween weekend? It's taken me a couple days to get around to sharing this (thanks to some internet issues), but here's Halle at 3 Months (which she hit this past Sunday). 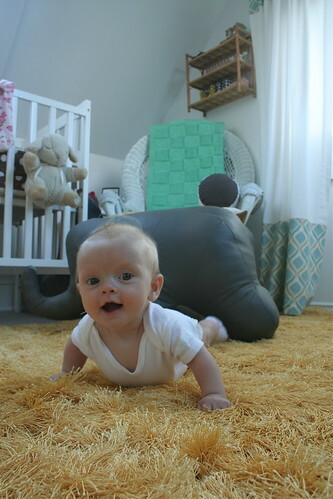 - Clearly, she's holding her head up strong and doesn't mind tummy time so much now that she can. We often both lay on our tummy's in the afternoon, on her pretty yellow rug and read and play together! - Speaking of tummy time, little girl surprised us a week before she turned 3 months and rolled from her tummy to her back for us! She loves doing that... just needs to work on the back to tummy rolling! 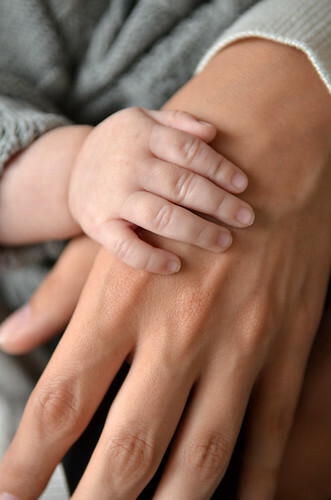 - She's reaching for stuff and holding onto certain rattles. We now have 2 toys that she truly enjoys - a little giraffe rattle and some stuffed dice that make noise when she squeezes them. These two toys will now travel with us everywhere we go. 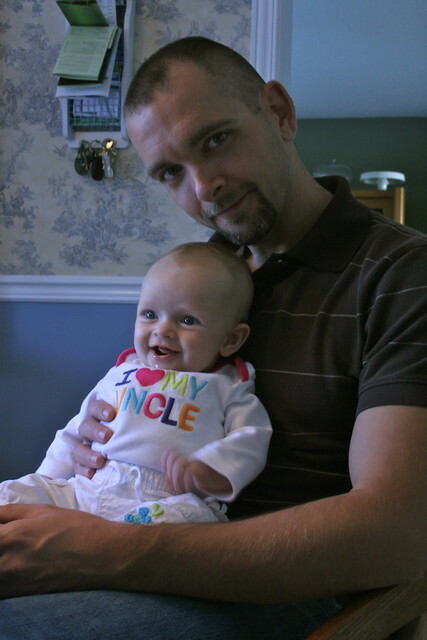 - She's squealing and "talking" up a storm these days... especially with her Daddy! Her face lights up when he gets home from work - the girl just can't get enough of him and I don't blame her one bit! Neither can I! 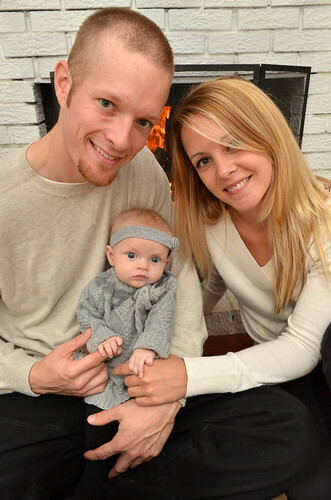 - She sits up well when we support her, and instantly starts reaching for her tiny feet. Aside from her two toys - those are her favourite things to reach for. Thankfully - with all of this toy loving she's doing recently, I've had a chance to get a bit more done on our living room refresh! B and I are also making purchases and finishing up plans on the bathroom (no demo yet) - so I'm hoping to be sharing all of this with you guys soon. Even if Halle isn't the greatest napper in the world... I'm doing my best to accomplish things and hope to be back to regular posting ASAP!.... I miss you guys! Hi Friends!! No Fancy Friday Love this week. We've had a bit of craziness around here this week trying to find a new nap/sleep schedule for Halle. 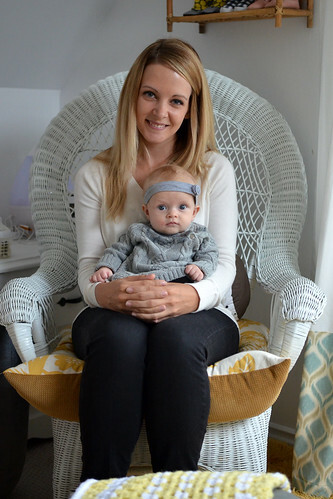 Both Mommy and Baby are feeling a bit of the strain, so my posting next week may be sporadic to non-existent... I'll see how this munchkin takes to our new routine! So, the time has come and we are finally gearing up to begin our next big reno! Almost a year after beginning our last major renovation project, we are ready for a new upstairs bathroom. We're still finalizing our layout (post to come soon) and design, and let me tell you - it hasn't exactly been a walk in the park. 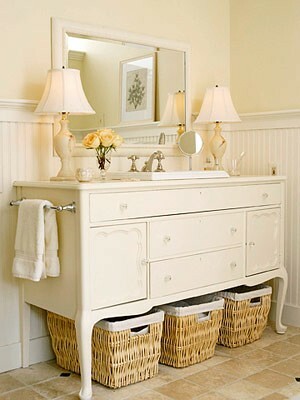 For anyone who has redone a bathroom before, you know that the decision making is not an easy process. There are a ton of tiles too choose from and you have to consider what type of material you want, the colour, shape, etc. For us, choosing our floor tile has been a big decision. Originally, I was thinking a nice simple 12x24 white tile would be great... then I thought maybe grey, but went back on that decision quickly. Unfortunately, I had mentioned it to B briefly, and that kind of stuck with him, leaving us wanting different things. 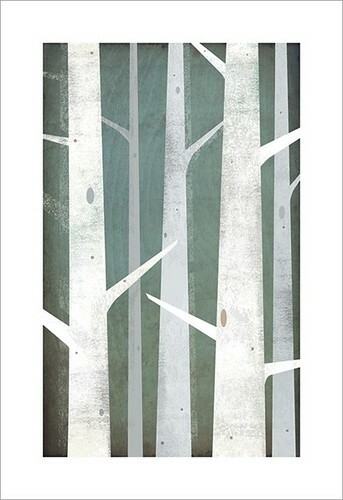 While I was still leaning towards white, B was starting to think that grey was our best bet. I think we are finally ready to settle on some sort of marble tile. White and grey... the best compromise that we could come up with. Now to search for something that will not bust our budget. The other decision that we are having a hard time coming to agree upon is the wall colours. 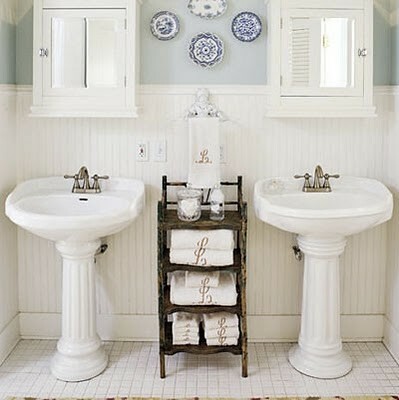 While I continue to lean towards my safe blues, B is hoping to see a nice pale yellow on our bathroom walls. I figure, if I can get some white floors, I can happily choose a nice soft, sunny yellow for the walls. Hopefully over the next few days, and the weekend, B and I can get out and start making some more purchases for the bathroom. Halle needs a tub and FAST! 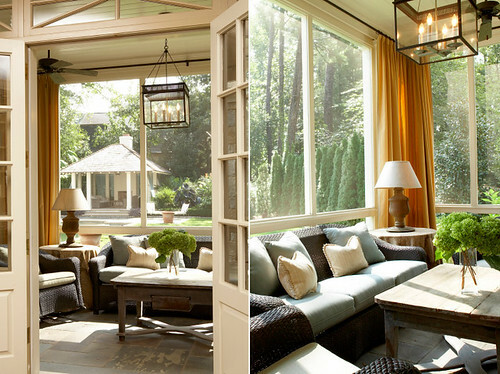 What do you do when you and your other half cannot agree on elements of a renovation or decorating project? Yesterday morning I shared some of our Halloween decorations, along with some inspiration for future decorations. While we're preparing for Halloween around these parts, my mind is already on another upcoming holiday... Christmas. Yes my friends, I am a Christmas-aholic and I'm not afraid to admit it. Though I try to hold back on decorating until after American Thanksgiving for the sake of B, I've already started to think Christmas cards. A big thanks to John for capturing these moments. I know these will be photos that we will cherish for years to come! I love that they are simple and straight forward. Of course, like everyone, I love photos that "tell a story", but I think these photos tell the only story that they need to. We're a family and we love each other! 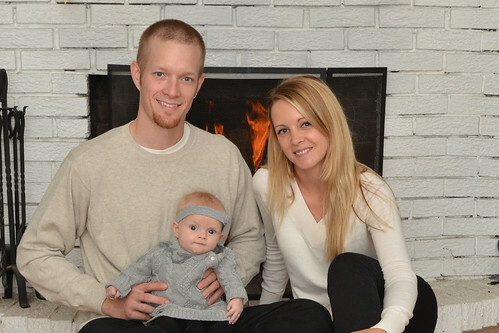 B and I have decided we'd like to try and get family photos done every fall to see how our family grows and changes. 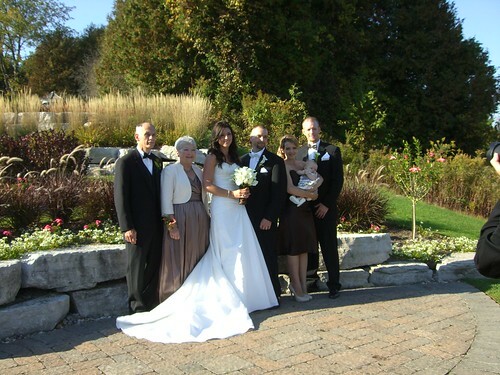 Do you have any family photo traditions? It's been a bit since I've done a post on a fabulous designer. So, the other week when I stumbled across this drool worthy post over on The Cottage Mix, I knew my next one had to focus on the work of Tammy Connor. 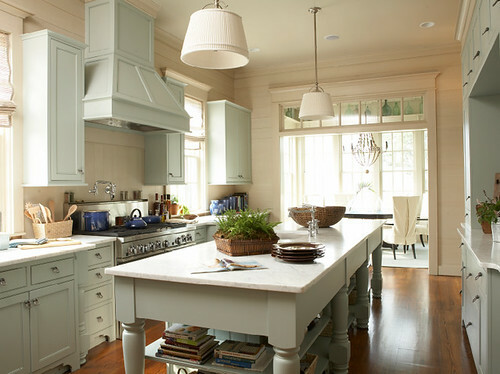 Each of the spaces below have the perfect coastal feel, without being too obvious in decor choices. 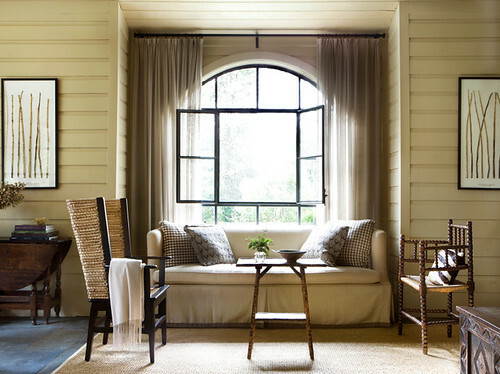 The neutral paint colours and the textures used in each space bring the right amount of warmth. I'll take one of each please! 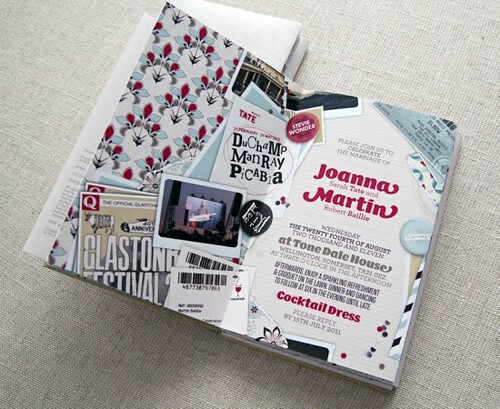 I would have to say that out of all of the designers that I have featured on here, Tammy Connor does the best at nailing my style right on the head! Laid back with that beachy kind of feel. Just popping in quickly this afternoon to share a bit of news! 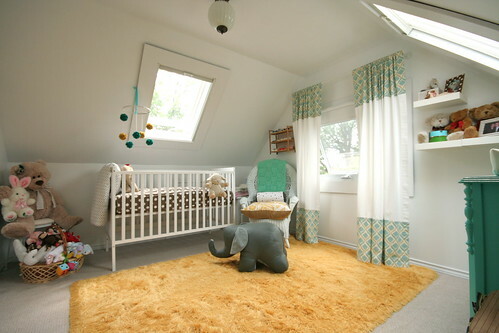 Halle's nursery is being featured today over on Ohdeedoh - you can find it right here! For those of you stopping by from Ohdeedoh, thank you for visiting and please poke around - I hope you enjoy my little blog! I'm putting it out there - I've never been much of a Halloween fan. When I was a kid it was fun to dress up and run around the neighbourhood to collect candy. Once those days were behind me, I enjoyed carving pumpkins and handing out candy to the kids, but that was where my enthusiasm ended. Notice how I left out Halloween decorations? Now here I am, living with a big Halloween fan (B) and a baby. Suddenly, the whole thing seems a lot more exciting (especially the excitement of Halloween's to come when Halle finally understand's it), and I'm finally ready to get into the "holiday spirit", if you will. Nothing overly exciting in the front entrance. 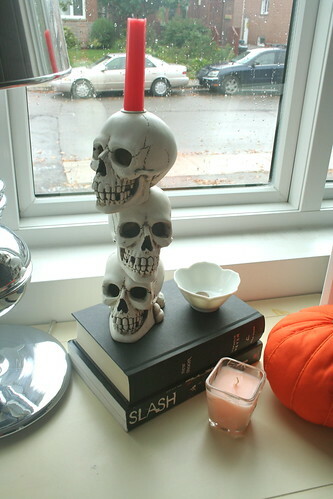 A skull candle holder that we picked up at HomeSense our first year in the home. I sat it on top of two stacked books that struck me as Halloween appropriate (idea taken from Young House Love - Thanks Sherry!). The pumpkin was given to us by B's parents when they were visiting last week. 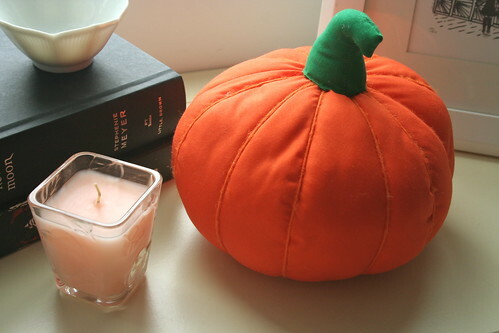 The final touch was removing the little pink candle and replacing it with this orange one. 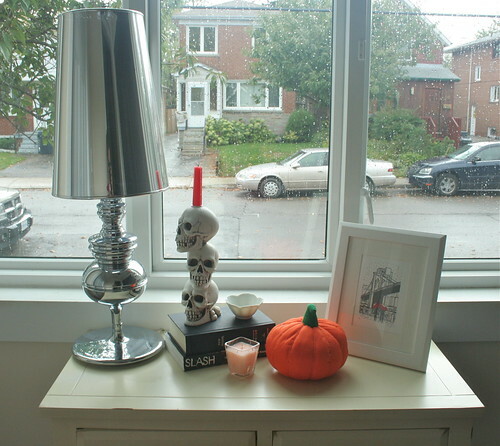 Easy and free little Halloween table! Love it! We have some mini gravestones that B made last year, and some gauzy cobwebs to put up, but with all if the rain we've been having recently, we've had no time to get them up outside. 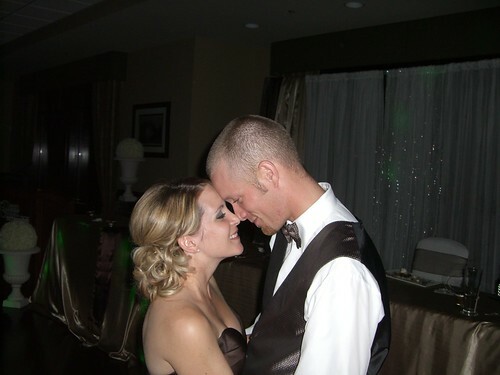 I'll probably have to share those photos after the big day! 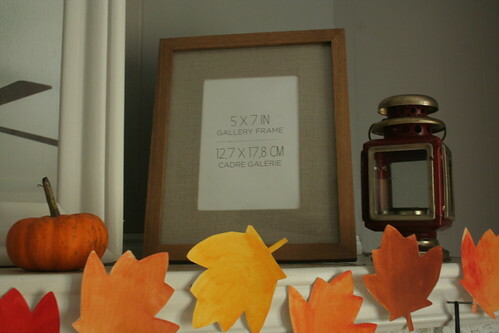 The little bunting that I made last year made it a bit more fun, and I was also finally able to add a photo into our new frame! Our prints from our photographer arrived on Friday and I l-o-v-e LOVE them! Still looking for the perfect branches to put into my pitcher that is hiding out behind the red lantern. The mantel could definitely use the height and fullness. How cute are these glowing ghosts? So easy to do too! 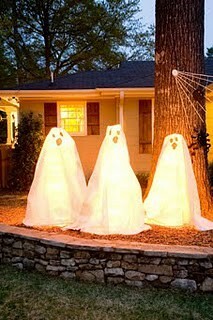 They are made from tomato cages, with Christmas lights strung inside of them and white sheets draped over top! Genius! Cute eyeball and feather wreath! Great fun way to decorate your front steps without going too cheesy! 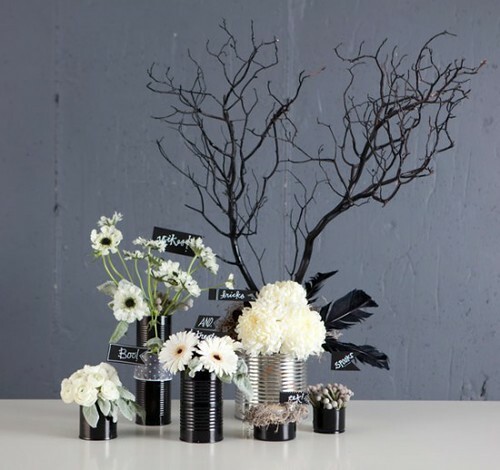 If you are looking for something a little more classy - maybe for a party, these Halloween flower arrangements from One Charming Party are absolutely perfect - don't you agree? Are you a big Halloween fan? 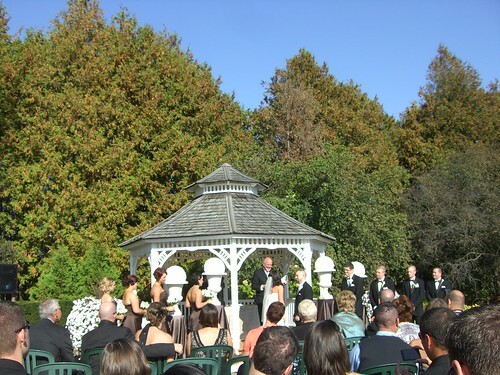 Do you get excited about decorating for the big day - or do you keep it low key? I'd love to hear what you do (or don't do) to decorate and celebrate for the holiday! 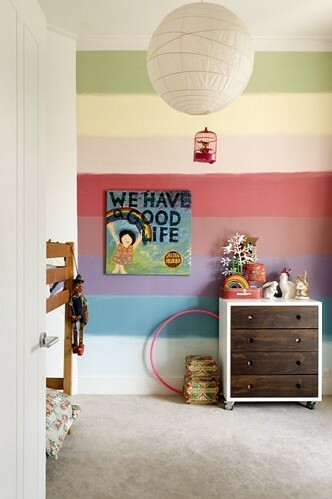 Adore this kid's bedroom from oh dee doh. Not only do I love that rainbow striped wall, but also how they made that plain old paper lantern look like a hot air balloon! Adorable! 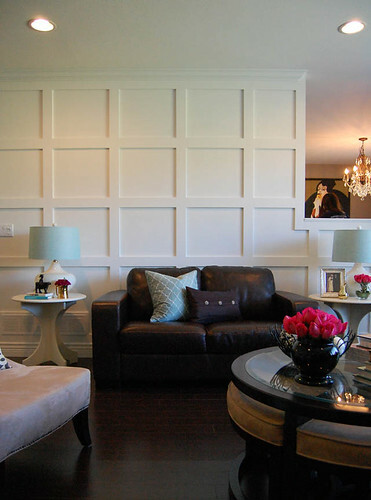 Did you see Nancy's fabulous DIY panelled walls? They are absolutely stunning!! 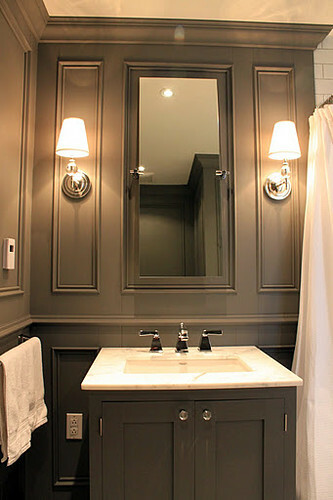 A gorgeous bathroom reveal over on Roncesvalles Victorian Reno this week. 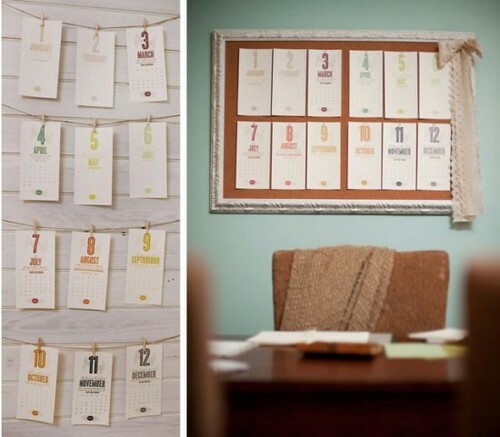 This one is actually from last week, but I couldn't help but share this fantastic idea for a calendar by Southern Fete Creative, shared on Oh So Beautiful Paper. We have a pretty laid back (for us) weekend ahead! Family photos are being taken tomorrow, for our Christmas cards. 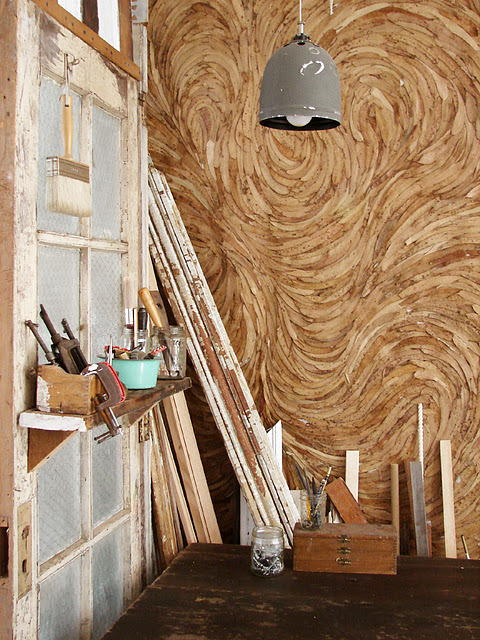 Other than that, we'll hang out at home and hopefully cross some more projects off our to-do list. It will be nice after how busy last weekend was! Do you have any exciting plans this weekend, or are you just taking it easy, like we are? I'd bought this piece back in my University days when I was big time into Paris... and went far too "themey" with my decor. Now that those days are behind me, I knew that I wanted to make it fit in with our more "grown up" style and provide us with some more function. God knows we can always use more functional pieces in our always busy household! Since these hooks hang right by our front entrance, I thought it would be the perfect place to create a little message board centre. 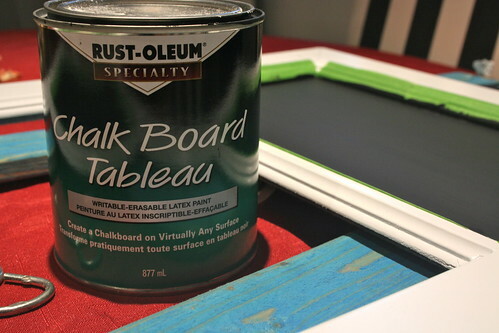 So after spraying the wood frame white, I pulled out the frog tape and chalkboard paint that was left over from my chalkboard calendar project and got to work. I taped off the rectangles, where the pictures of the Arc de Triomphe and Eiffel Tower were, and put on the required two coats of chalkboard paint (waiting four hours between coats of course). 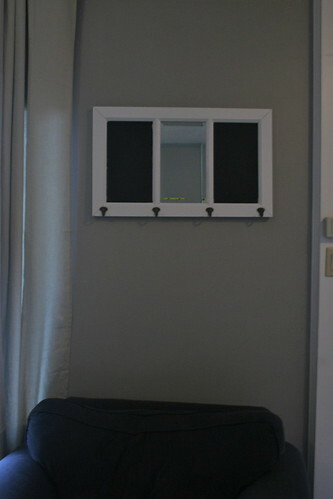 When all was said and done, we popped the mirror back in, screwed the hooks on and back on the wall it went! Piece of cake! Love these easy projects! We still have a couple more days to wait before we can condition the surface with chalk and start to write on it, but it will be a great place to leave little reminders to ourselves or even just jot down a festive greeting! My favourite part of the whole project? It was that we worked with everything we already owned... okay, so I bought the spray paint - but I used a gift card that the gracious people at Home Depot had provided to us, to help with our home renovation and decoration projects. So it still cost us absolutely nothing! 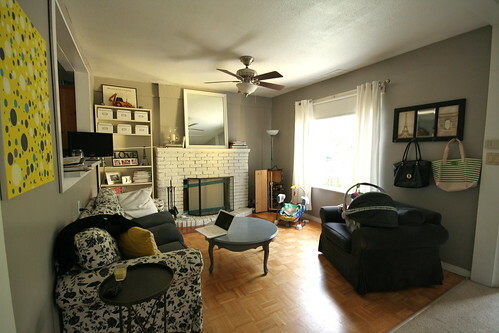 Feels good to have another project crossed off the list, and be one step closer to sprucing up our little living room. Have you been feeling crafty and creative recently, and finished up any projects using pieces you had laying around your home? It was thrown together rather quickly on zero budget. The leaves I made the other weekend, by simply outlining a maple leaf and then using my water colours to paint them in different shades of turning leaves. 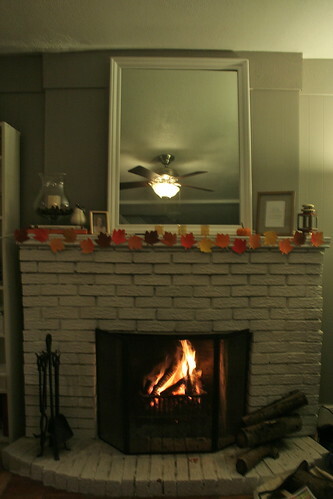 I originally planned on making a garland, but we liked how they looked just taped onto the mantle (cheap? absolutely!). The red latern I picked up when I went antiquing last fall, the wooden picture frame comes from Chapters. I bought it last month and plan on putting one of Halle's baby photos in it. 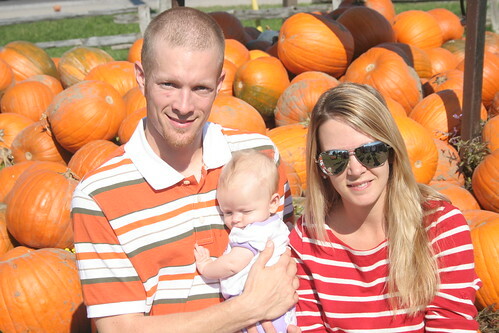 The munchkin pumpkin is Halle's first pumpkin that we picked up at the pumpkin patch this weekend for $0.75. The white ceramic gourd I bought last year and the glass vase I keep on the mantel year round. 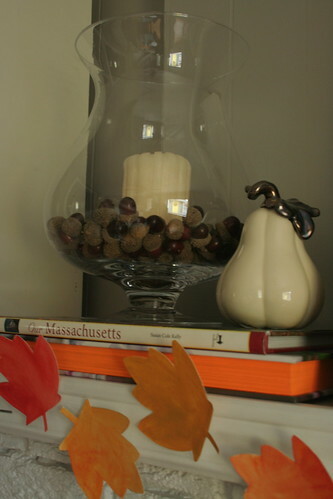 I just added some acorn vase filler that I picked up last season at HomeSense. Cheap and cheerful - but I'm not sure I'm absolutely in love with it. 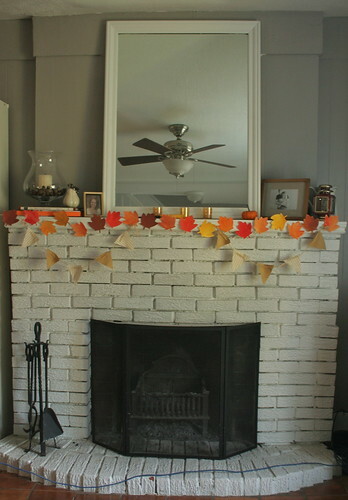 What is your fall mantel looking like? What would you add to ours? I'd love to hear your feedback! Halle arrived at my parents on Thursday, all dressed to impress Uncle Mike. He was thrilled! There are more details I wanted to share (but don't have photos of), like the little jars of jam made by the bride's Granny as gifts, and the finger print tree "guest book" that the bride and I picked out for the day! 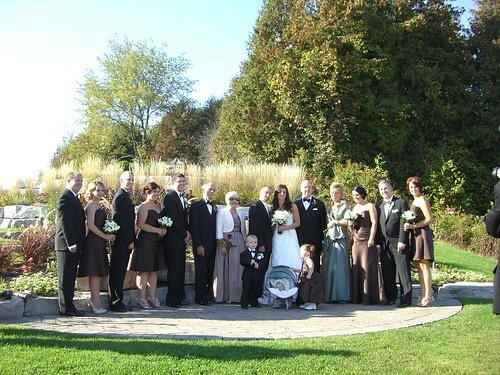 It was all oh, so perfect for a beautiful fall wedding. 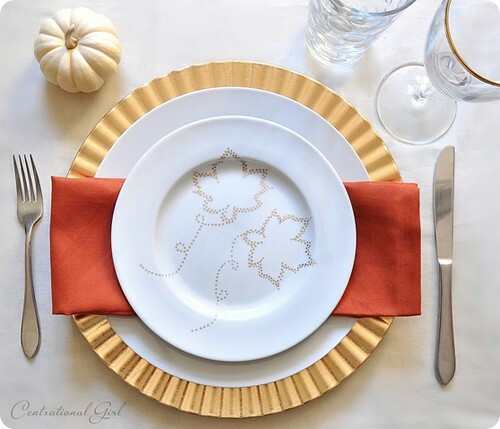 Did any of you get up to fun fall festivities this past weekend?